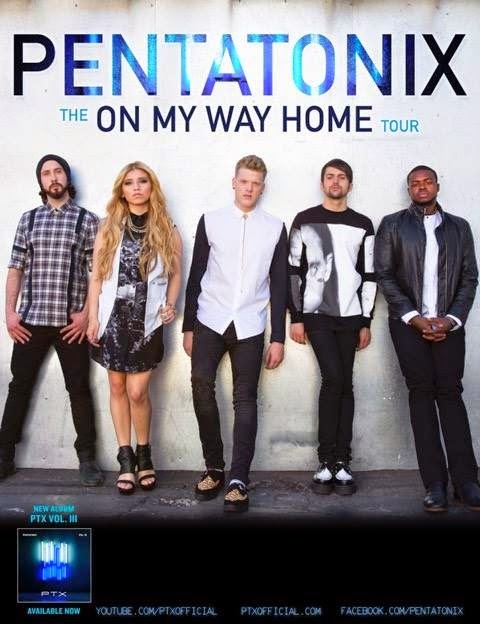 If you are a fan of acapella music, the you might have heard of Pentatonix (PTX) before, the amazing acapella group from Texas consisting of five vocalists who cover songs, medleys, pop music, along with some original material – only with their mouths! 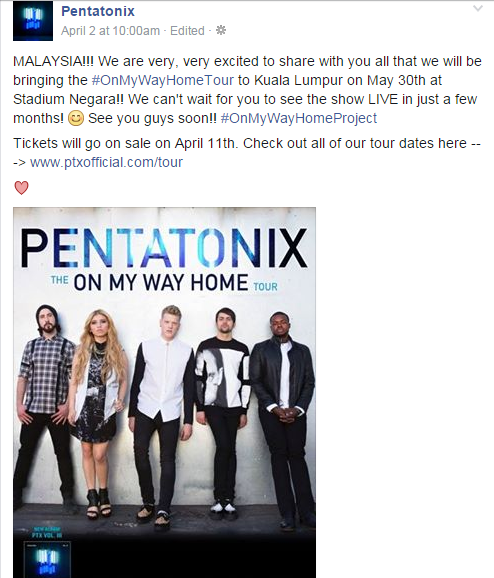 The five-member acapella group has announced through their Facebook page that they are coming over to Malaysia for their “On My Way Home” Tour which will be held at Stadium Negara, Kuala Lumpur on the 30 May 2015. Pentatonix is a five-member group made up of Scott Hoying, Mitch Grassi, Kirstie Maldonado, Avi Kaplan and Kevin Olusola. The group began to receive recognition after winning the third season of “The Sing-Off” and is currently a popular YouTube sensation with over 7.8 million subscribers. They also recently won an award at the 57th Grammy Awards for the “Best Arrangement, Instrumental or A Cappella” category. 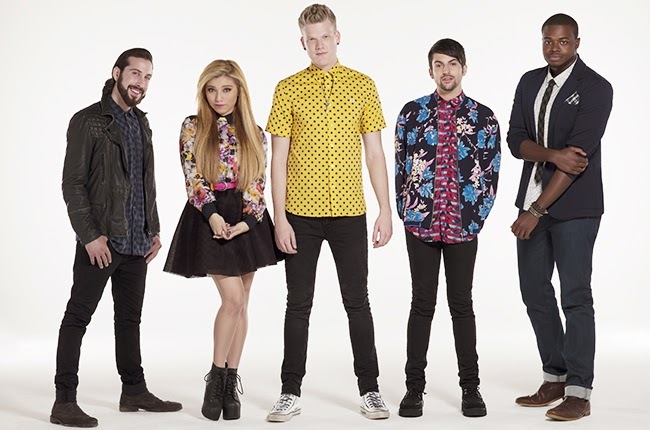 Many of Pentatonix’s cover songs have received high views. Their recent music video tribute to French electronic music duo Daft Punk, has surpassed over 128 million views. Aside from Malaysia, the group will also be performing at Singapore, Indonesia, Philippines, Japan and South Korea. The tickets for their concert at Stadium Negara will be available for sale on Saturday, 11 April 2015.